Updated instructions on compiling your own Wineskin engines. // Use this if strnlen is missing. Line 2 - Give a name to your engine such as "wine-staging-x32-2.2"
I finally took the time to sit down and follow this tutorial so I could start building my own engines again and I was a bit stumped as I was not able to get it to work. This tutorial is outdated, please do not use it anymore. 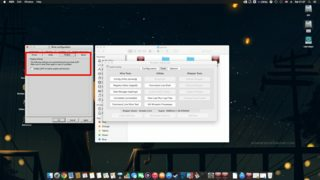 I have been using MacPorts instead of Homebrew since years but was not able to find enough time for keeping that up-to-date.